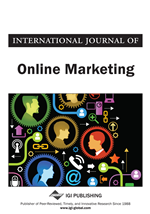 The paper explores how viral marketing plays a major role for the companies in the present scenario. This paper gives an insight into the various models to provide an overview into the mathematical aspect associated with viral marketing. At the end the implications of viral marketing on various different industries is discussed. This manuscript elucidates how organizations can design their viral marketing campaigns targeting different types of customers. Wilson (2000:1) describes viral marketing to be a strategy that encourages the individuals to pass on the viral campaign message to others that creates potential exponential influence of the message. It is explained to spread in the same way as the viruses as per Viral Marketing Online (2001).The only difference is that viral marketing uses digital media. Therefore, the concept refers to a message that spreads to other people because the first recipient liked it and chose to send the message on to others, using what some people prefer to call 'word-of-mouse' communication (Hendrix, 1999). Viral marketing is a new cutting edge marketing strategy and form of real time interaction to attract customers that potentially allows a business to reach to the customers they would never be able to connect with otherwise. It is generally driven by the content of the message and the target audience that pass on the message without any expectation from the sender for any rewards or returns. The content of the message should be made self explanatory that people pass it on in their social network without any outside force and pressures. People forward the messages to their friends for being the first one who knew about something upcoming in the market. This shows that people pass on business oriented viral messages for their social image and reputation. The firms need to influence the recipients by not only persuading content of the message that serves their purpose but also adding some fun or of interest and benefit to their customer. Environment: It talks about the time and context of the launch of the advertisement message. Real-time key word density analysis: This is very crucial as is used to help search engines discover your web page with its main focus. Without focus your Web pages will do poorly in search engines. It can be even said that keyword phrases should be the prime consideration.